Tucked into a Mount Pleasant shopping center, Rusty’s Cool Guitars looks from the outside like a typical music shop. But for guitar aficionados, the inside is a veritable jewelry box of precious instruments made from exotic woods, sporting cutting-edge hardware, and selling for up to $25,000. And believe it or not, owner John Campi doesn’t stock these gems to support himself (a successful career in medical sales took care of that), but instead, to benefit the charitable organizations he holds closest. “It’s what my heart says to do,” says Campi, a Hawaii-raised musician whose hula-dancing mom taught him to pluck the ukulele at age five. He learned the guitar next, playing in bars while studying international business at the University of Hawaii. Settling stateside in San Francisco, he spent decades in sales, retiring from the high-pressure work at age 54. He and his wife, Arlene Morris, then moved to Charleston to be near her family in Columbia. 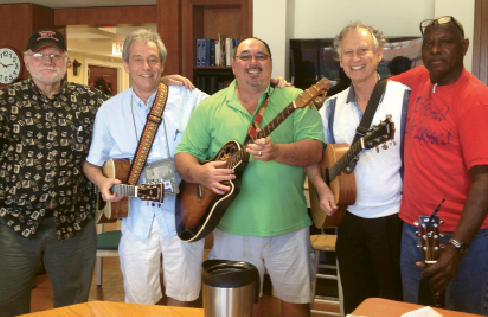 Campi and Guitars for Vets students performed at the Ralph H. Johnson VA Medical Center in 2013. After a decade of traveling with Morris (whose work in biopharmaceuticals takes her around the globe), enjoying flying lessons, selling sailboats, and volunteering as an instructor with the nonprofit Guitars for Vets, Campi was ready to start a new venture. In 2014, he established Rusty’s Cool Guitars as an online shop dealing in hand-built boutique instruments. He named it for Rusty, a 14-year-old poodle mix he and Morris rescued—via private plane—from a New Jersey shelter. He would ramp up, he decided, and use the company to raise more funds for organizations such as the Charleston Animal Society, Humane Society Silicon Valley, Guitars for Vets, and the Charleston Gaillard Center. The shop moved into its first brick-and mortar in 2016—not long before Rusty passed away at 19—and expanded into its current location a year later. Rusty’s Cool Guitars gives to Guitars for Vets as well as the Charleston Gaillard Center Education Initiative. Sales are now brisker than ever. Campi employs two veterans and donates about a dozen instruments a year to the Charleston chapter of Guitars for Vets, which grants free lessons to veterans with PTSD, giving them a guitar and accessories kit after they complete 10 sessions. It’s a belief in the power of art that also drives Campi to support the Charleston Gaillard Center Education Initiative, sponsoring shows by the likes of Tony Bennett, Diana Krall, ZZ Top, and—this September—Jay Leno. 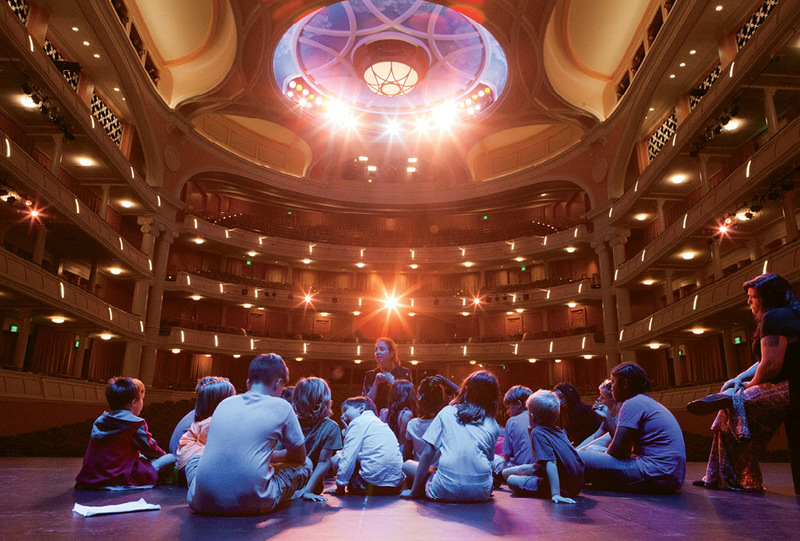 “John and Arlene have given to the Education Initiative at an elevated and sustained level, ensuring that thousands of local school children and teachers are impacted in powerful ways by engaging in curriculum-supported arts and STEM performances, workshops, master classes, and teacher professional learning experiences at the Gaillard Center,” says development manager Gage Baxter. And as far as Campi’s concerned, that’s cool. Very cool indeed.